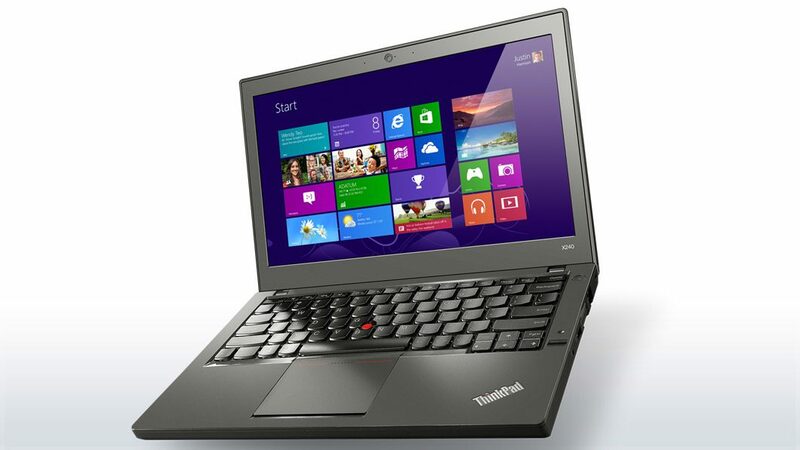 The Lenovo ThinkPad X240 is what we could call a classic road-warrior. 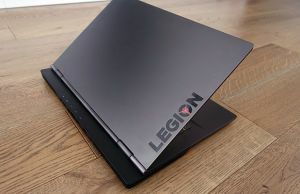 It comes with a rugged body, yet fairly light and compact, the simple looks familiar to the ThinkPad Line, Intel Haswell hardware and a large swappable battery that can push the laptop for 15+ hours of everyday use on a single charge. 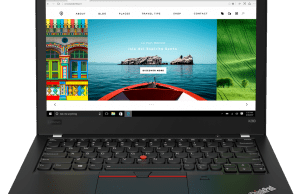 On top of that, the ThinkPad X240 is available in a large variety of configurations, with prices starting at around $900 and going over $2000, based on what you want on your device. 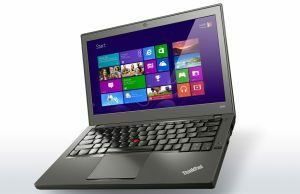 However, not everything is bells and whistles with this Late 2013-2014 version of the X-Series Lenovo ThinkPad, as you’ll find out from the reviews listed below. He appreciates the long battery life of the nearly 100Wh battery (with the 6 Cell option, alongside the 3Cell embedded within the laptop), which allows the X240 to last longer than pretty much any other ultrabook available right now. He also appreciates the wide range of configurations you can choose from and the connectivity options (most needed ports, but also Wi-Fi AC, Bluetooth 4.0 and cellular). 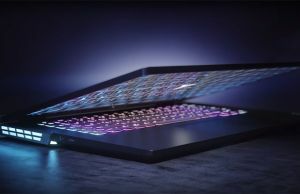 On the other hand, he does mention a few trade-offs: the rather bulky body and the redesigned button-less touchpad, that’s going to be annoying if you’re a die-hard TrackPoint user. Again, the battery life is what really impresses on this laptop, as well as the sturdy construction and the amount of ports. He also thinks that the keyboard is a step forward from the previous X-line ThinkPads, due to the more spacious palm-rest and the concave island-style keys, although the travel is somewhat shallower than on the X230. 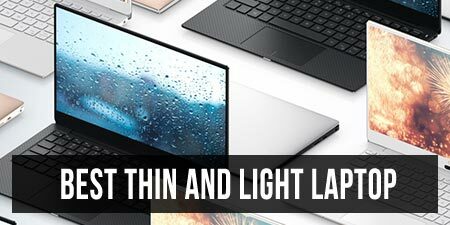 Elias Plastiras from the Good Gear Guide says that the ThinkPad X240 “is a very different beast compared to the X230, but still one of the best small laptops on the market“. 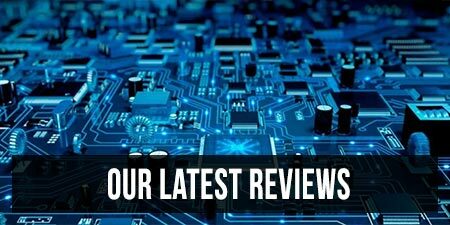 Like many other reviewers, he appreciated the solid built body, the long-battery life, the multitude of features and configuration options and the keyboard. However, he notes that some keys are smaller than on the previous model, and some are even missing or have been combined with others, requiring to hit FN to activate them. He also complains about the new TouchPad, with integrated click-buttons. In other words, he feels like the X240 is too expensive for what it has to offer, when talking about the higher end configurations, as you can buy lighter machines with faster hardware and larger screens for the same kind of money or less. 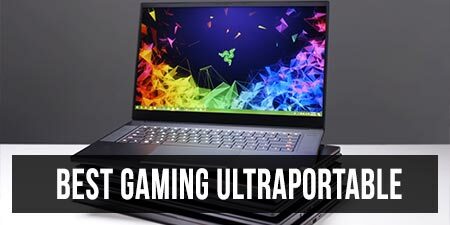 He also complained about the keyboard (squishy, in his opinion), touchpad and the laptop’s weight, which reaches nearly 3.6 pounds with the FHD touchscreen and the extra 6 Cell battery. 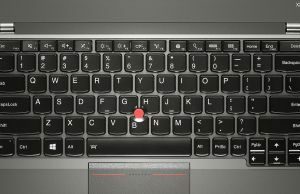 If you’re interesting in other unpleasant aspects of the X240, especially when compared to the older X line ThinkPads, this post is an interesting read. Hardware wise, for instance, the X240 is now limited to U-series processors and only 8 GB of RAM, so it’s not as powerful as its predecessors. Then, the AccuType island keyboard on the X240 lacks certain dedicated keys, like Back, Forward and Insert, which for programmers, are really important. He also complains about the new TouchPad and the fact that the X240 is no compatible with older docking stations or power bricks (it has a square power-plug, not a circular one, like in the past). 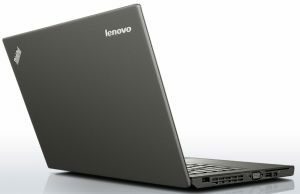 My personal experience with the Lenovo ThinkPad X240 is somewhat limited, as I haven’t got it for a proper review. However, even in the few hours I got to play with it, I was impressed with the solid construction and the light weight, compared to my ThinkPad X220. It’s true that adding the touchscreen and the large battery will bump up the weight, but you will be getting 15+ hours of daily-use battery life with that configuration, and if you need the longevity, you’ll learn to live with the extra weight. Otherwise, just go for the 3 Cell battery instead. I wasn’t very happy with the keyboard. Yes, it feels somewhat shallow, but I think I could get used to that. The fact that it lacks buttons however is more annoying though. On the other hand, the X240 can be equipped with a backlit keyboard, while my X220 could not at the time. In what regards the TouchPad, I have mixed feelings about it. It’s large, accurate and responds well to swipes and gestures, but actually using it with the TrackPoint is painful. 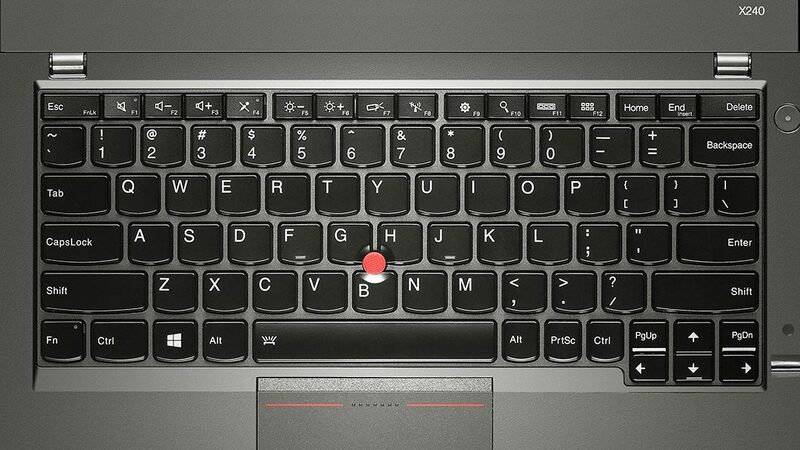 However, I’m not really a TrackPoint user on my ThinkPad, so I could probably learn to live with the X240’s solution. The hardware limitations are however what bother me the most about the X240. ULV processors have come a long way, but I wished Lenovo would have squeezed some faster hardware in there, like the higher voltage Intel processors we’ve seen on the Asus Zenbook UX301LA or the Macbook Airs. Then, there’s the 8 GB cap on the RAM, as there’s a single memory module on the X240. For the regular user, these might not mean much. But if you’re buying the ThinkPad X240 as a compact productivity tool, if you’re running serious pieces of software on it (Photoshop, Premiere, Visual Studio), you’ll need all the power you can get. And the new ThinkPad X240 is a it short of delivering here. It does compensate with the long battery life and the fact that it runs cool and quiet, and again, these would make most users smile. But not the long-time X-series users looking for a proper upgrade. And then there’s the price. 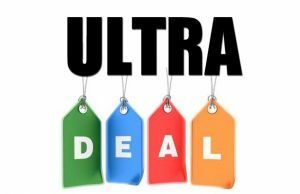 With the Core i7-4600U CPU, 8 GB of RAM, 256 GB SSD, the 12.5 inch IPS HD matte panel and the standard 3 + 3 Cell battery, the ThinkPad X240 goes for nearly $1800 in the US right now, while similarly configured 13 inch laptops go for a few hundreds less. They don’t offer the same endurance and the vast variety of ports, but they are thinner and lighter. Also, upgrading from the 500 GB HDD to the 256 GB SSD on Lenovo’s website will cost you a little over $300, so it’s probably wiser to buy the base version and replace the HDD with an SSD yourself. You’ll save some money and have the option to put exactly the SSD that you want in there. 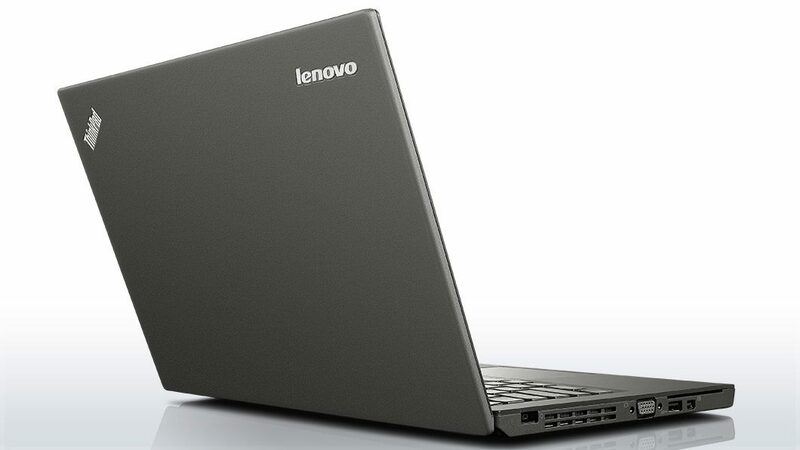 So at the end of the day, the ThinkPad X240 is surely one of the most interesting business ultrabook of the moment. The solid construction, the features and the long-battery life make it ideal for life on the road. 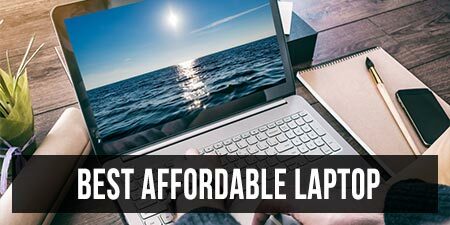 But the capped performances, the redesigned keyboard and the button-less Trackpad, corroborated with its high-price tag, might be enough to steer away a good chunk of potential buyers.